This book helps children to learn the valuable lessons of building, maintaining and protecting friendships in a unique and colorful way. In The Rainbow's Dream each personified color disappears until Violet using her wise and magical powers finds the colors and brings them together again. 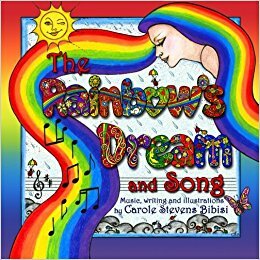 Each child will discover what Rainbow friends learn about caring, co-operation, trust and friendship and the happy ending is celebrated by singing the Rainbow's Song. Over and over again it will remind children of the concepts they learned as they happily create their own Rainbows with colored pencils, paints, crayons and hanging crystal prisms’ that shine in the sunlight.